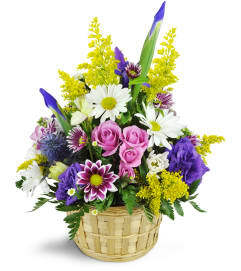 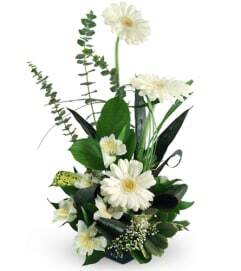 Show your love with this beautiful floral display. 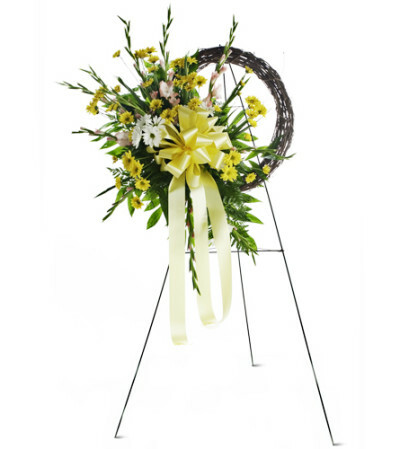 Arranged on a stunning grapevine wreath, lush yellow and pink pastel blooms display your love and compassion. 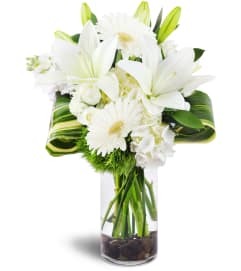 Pink gladiolus mix with white and yellow daisies in this stunning standing display, appropriate to send to the funeral home or service.